Just two weeks after the 2007 World Series of Poker Main Event concluded, Harrah's has released the complete schedule for the coming poker year's WSOP Circuit. This is the fourth year running for the WSOP Circuit, where the winner of each event is guaranteed a seat to the 2008 WSOP Main Event. There will be twelve stops this year (unlike the last two years, which only had eleven events scheduled), and the entry fee for each main event will be $5,000. Each WSOP Circuit stop is scheduled to last two weeks and will include cheaper and more affordable satellites into the main Circuit events, for a "fraction of the original buy-in." "Strong customer demand prompted us to add another event to the Circuit schedule," said WSOP Commissioner Jeffrey Pollack. "Each event brings the thrills and excitement of the WSOP to poker players at the local and regional level." These Circuit events have been great for players looking to get into the upcoming year's WSOP events, with the satellites offering an affordable option for the local poker player --- not to mention the chance to win a seat into the 2008 WSOP Main Event for half price. Adding another stop this year also helps to spread the Circuit across the nation, hopefully opening up the events to more players. 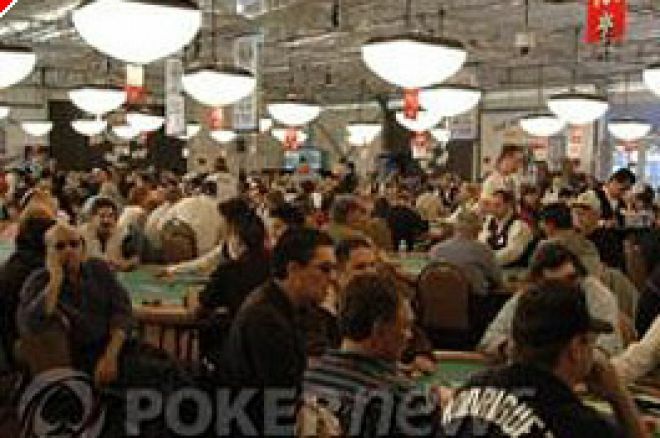 WSOP Circuit events has also been known to attract many professional poker players. Pros like Michael "The Grinder" Mizrachi, Gavin Griffin, Gavin Smith, Davidson Matthew, Men "The Master" Nguyen, David "The Dragon" Pham, Scott Fischman, Steve Wong, Chad Brown, and Phil Gordon all attended Circuit Events last year.